Are you a Romantic at heart and want jewelry to reflect your moon? Then these stunning earrings are for you. 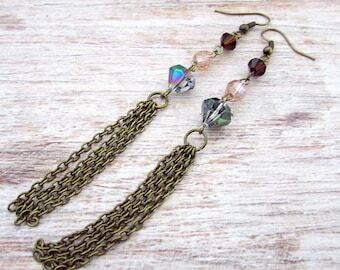 Looking to add a bit of romance to your Bohemian jewelry collection? These earrings are the perfect choice for just that. 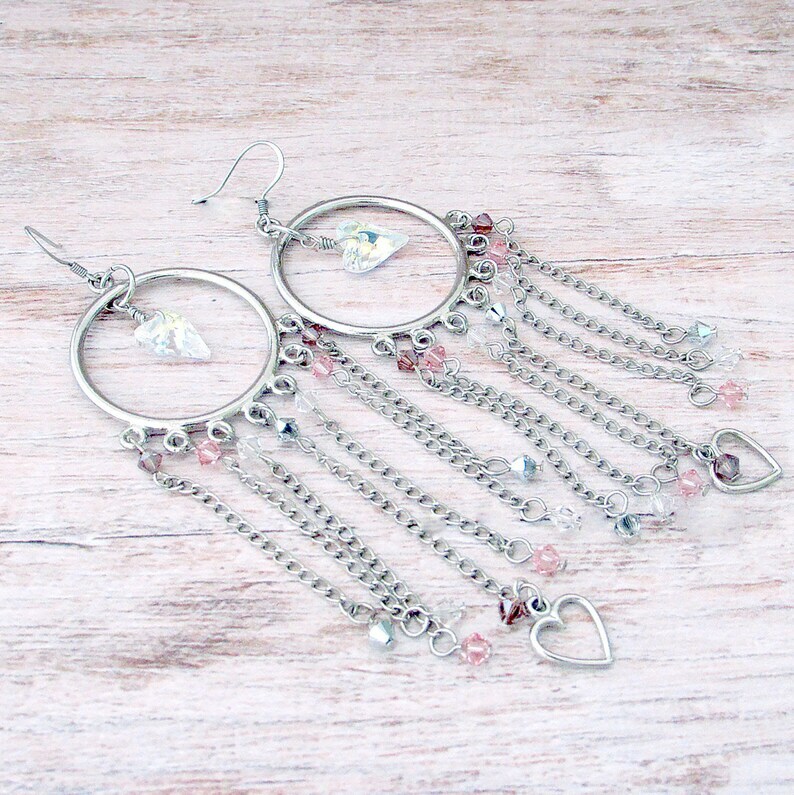 These beautiful heart motif earrings feature stunning, genuine Swarovski crystal "Wild Heart" pendants that have been expertly wire wrapped and dangled from the center of a silver tone hoop. Small genuine Swarovski crystals have been attached to the bottom rim of the hoop as well as to the ends of slinky silver-plated chains created a lovely beaded fringe. The color scheme is a smokey, rose ombré with hints of pewter mixed in. The Feathered Elephant originally designed and created these beautiful earrings as a promo piece for Cousin Corporation of America®'s Swarovski® Crystals Create Your Own Style™ line. They are not a reproduction. The style has been altered from the original design to make the earring more wearer friendly. These earrings measure approximately 3.75 inches (9.53 cm) in length.